“Youth Leaders” Konferenz, Service Projekte, Festival, Österreicher in Asunción. Brasilienrundreise: Iguazu - Wasserfälle, Curitiba, Sao Paulo, Fussballklub in Sorocaba, Rio de Janeiro. 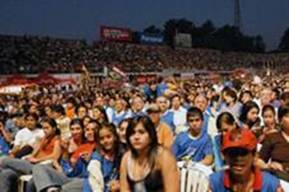 The crowd burst into rowdy and prolonged cheers at the Global Peace Festival as Founder Dr. Hyun Jin Moon told them “Before we are Paraguayans, or Americans, or Koreans; before we are Christian, Muslim or Jew, we must understand our fundamental identity as the sons and daughters of God. We must look beyond our differences to the things that unite us and can bind us together. 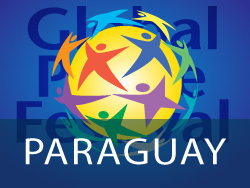 The Paraguay GPF was the first of 17 planned throughout the world in 2008.